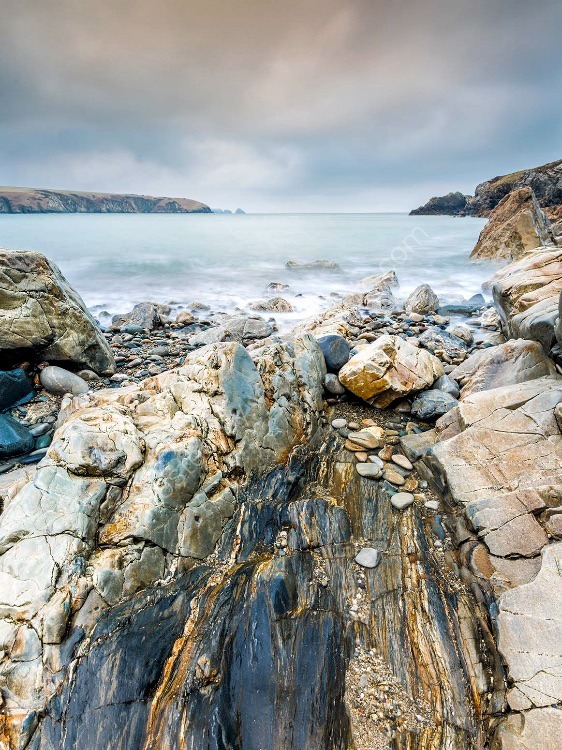 Aberbach is a little visited, little photographed, rocky cove in North Pembrokeshire. On this particular evening I had gone hoping to catch a sunset that never materialise. Instead, I amused myself by making long exposures of the receding tide on the rocks & pebbles. I'm pleased with the results.